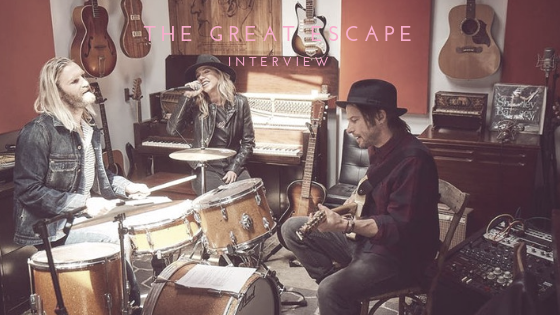 It was a house party in Venice Beach that convinced Malte Hagemeister and Kristian Nord to start a band with Ingrid Andersson. They were friends before they began The Great Escape, but it was that night where they knew they had to create music with her. Soon after, they had their first session together which turned into four weeks and a completely written album. Think Nina Simone’s uncompromised performances, Tom Waits’ growls and Sly Stone’s visionary mashup of styles – what Hagemeister says is the inspiration of the classics from the 60s and 70s but also timeless and less polished than a lot of today’s music. “We all stand on the shoulders of giants,” he said. Their creation process is a collaborative effort. When the three of them get excited about an idea, they know they’ve got something. From there, the process is “beautifully chaotic” according to Hagemeister. They’ve also learned to trust what their gut is telling them and to step away from their egos to end up with something magical. Take their latest single, “All You Got is Gold”. It’s a song that spoke to a lot of their friends, and ultimately spoke to the music supervisor of Netflix’s The Haunting of Hill House. “Maybe the strength lies in the combination of bitter and sweet - it is an optimistic tune but there is a sense of struggle and pain you had to overcome, and precious memories you had to leave behind,” Nord said. They plan on releasing a full-length album in 2019, complete with more modernized aspects of their influences. They’ve had the opportunity to create more freely and step out of the retro vintage universe that can be heard on previous releases. They’ve come a long way since house party performances, and The Great Escape has seen what a lot of hard work and a bit of luck can do for a trio from Los Angeles.